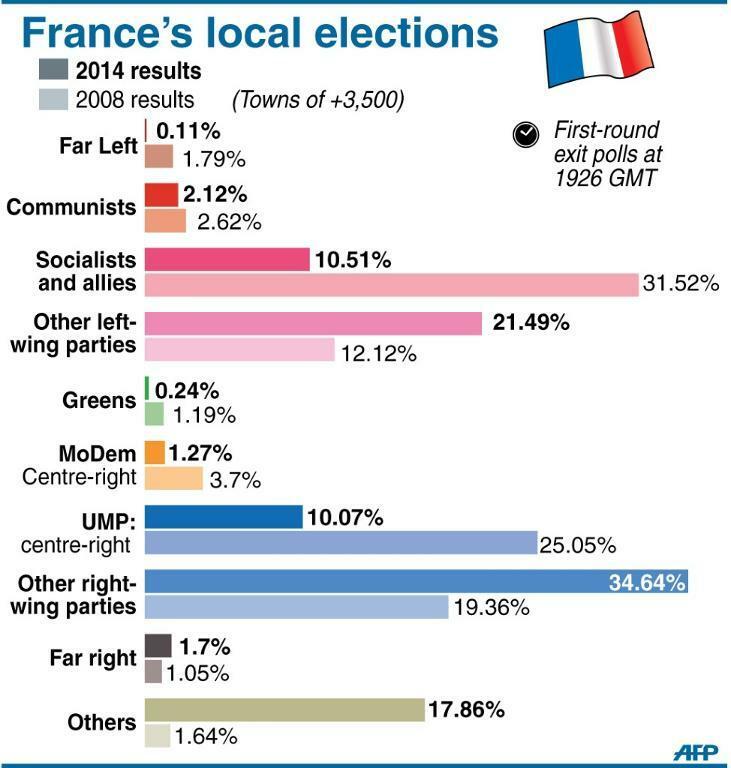 ” France’s far-right National Front party dealt a major blow to the ruling Socialists Sunday after several of its candidates took prime position in the first round of local elections. The main centre-right opposition UMP party also hailed a “big victory” as initial estimates showed it came out trumps in the elections, as President Francois Hollande suffers record unpopularity against a backdrop of near-zero growth and high unemployment. According to preliminary results from the interior ministry, the UMP and allies took 47 percent of the vote nationwide while the Socialist party and allies took 38 percent, and the FN five percent — far higher than its 0.9 percent result in the first round of 2008 municipal polls. Story continues at Yahoo News … a preview of the US elections ?